After an amputation, professional care of the residual limb is of crucial importance for the subsequent prosthetic fitting. As a replacement for elastic bandages, our residual limb compression socks assume an important function in the post-operative phase. They primarily serve to reduce swellings and the post-operative oedema. In addition to high wearer comfort, a compression sock is also easy to use. For example, an adhesive strip with silicone nubs on lower leg compression socks prevents the bothersome problem of sliding down. 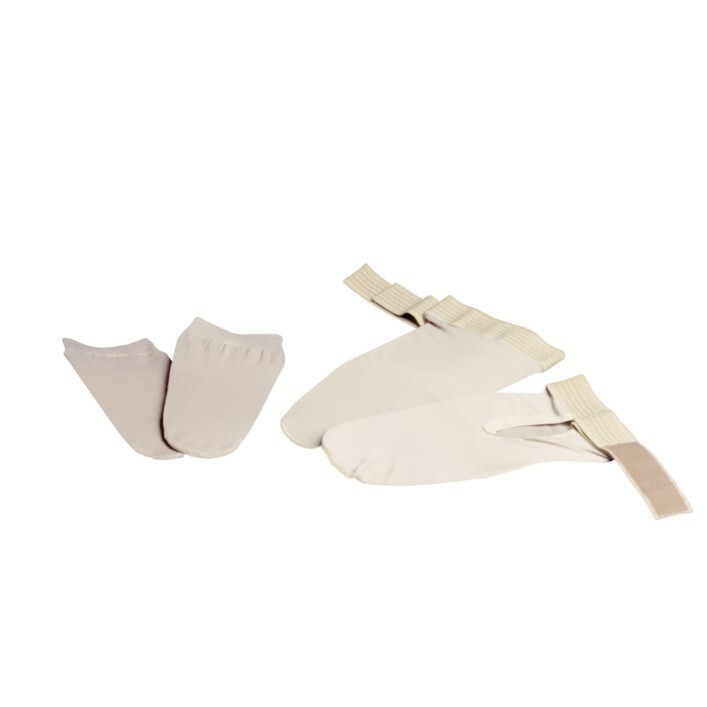 An elastic hip strap fulfils this function on thigh compression socks. The compression socks are available for transfemoral and transtibial amputees in various sizes and two compression classes. Your orthopaedics specialist will be happy to advise you regarding the suitable version.